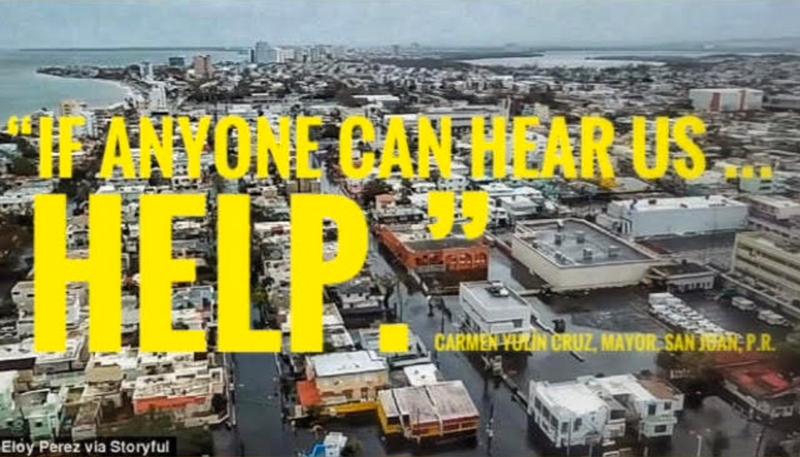 President Donald Trump, Majority Leader Paul Ryan, and Senate Majority Leader Mitch McConnell are failing to act to help the people of Puerto Rico survive and rebuild from the devastation of the fossil-fueled Hurricane Maria. The 3.4 million American citizens of Puerto Rico have no representation in Congress -- they need all of us to demand action from our elected leaders. Please add your name. Upon signing, you will receive an email with a link letting you write a letter to Congress, if you are fortunate enough to have representation. To Donald Trump and the U.S. Congress: "Aid our fellow Americans in Puerto Rico immediately, including rapid, just, and comprehensive relief and recovery legislation." Please consider a fund to help this part of the U.S.
Puerto Ricans are American citizen human beings. Help them.